Introduced in 2016, Microsoft Teams now comes standard with most Office 365 subscriptions. 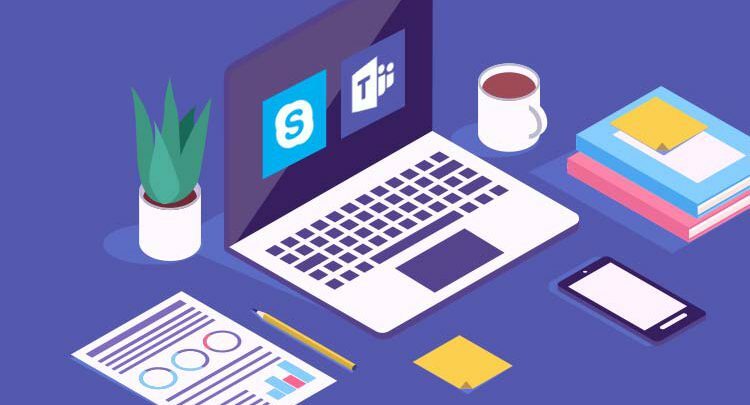 In order to communicate and collaborate more effectively, familiarize yourself with these awesome Microsoft Teams features. Microsoft Teams is, first and foremost, a centralized hub for quick communication with your teammates. Rather than sending emails, which often get lost in cluttered inboxes, you can instantly message your coworkers directly. This streamlined form of communication is highly convenient, and serves as a great way to improve productivity and collaboration. If you need a group of several people to discuss a certain topic, Microsoft Teams has a convenient group message feature. Simply start a chat like you normally would, and then click Add people in the top right corner of your screen. Type in the names of the people you’d like to loop into the conversation, select whether or not you’d like to see chat history (if there is any) and click Add. When a large group of people are communicating in one chat, things tend to get messy. Tabs, one of our favorite Microsoft Teams features, serves as a way to tame the inevitable chaos that arises in a group chat. It allows you to segment a channel neatly. Microsoft Teams has a wide range of useful default tabs, but developers can create custom ones as well. Tabs can be added to a channel or chat by clicking Add a tab at the top. Much like Skype, Microsoft Teams gives you the ability to host audio, video and web conferences with people inside and outside of your organization. When it’s time to dial into a meeting, click the Meetings tab on the left of the app, where you’ll find a phone number to call. Entering a video conference is similar. You’ll be prompted to do so in the Meetings tab. Microsoft Teams integrates with all other Office 365 apps, such as PowerPoint, Word and Outlook. That means it’s possible to collaborate seamlessly across all of these programs. These are simply a few of the Microsoft Teams features people who are new to the app will find useful. As you become more comfortable using it, you’ll make the most of its full potential.